My brother and I spent 12 days in Costa Rica staying in hostels, hotels, tents and more. 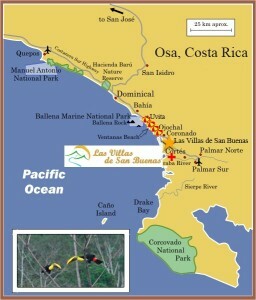 In the first part of our trip we stayed in Corcovado National Park sleeping in tents and dealing with the elements. This park was amazing and the experience of a lifetime but the best part was knowing our next destination. The house in Buenaventura is an incredible place. We couldn’t have asked for a more relaxing and beautiful place to stay in Costa Rica. It has all of the modern amenities you could ask for and then more. All of the information provided before staying there was accurate and more than expected. I would recommend this house to anyone going to Costa Rica. I can’t wait to go back!